Model: TC FOUR ZERO refurb. This Certified Refurbished product has been tested and certified to work and look like new, with minimal to no signs of wear. The product is backed by a standard 2 years warranty and may arrive in a generic brown or white box. 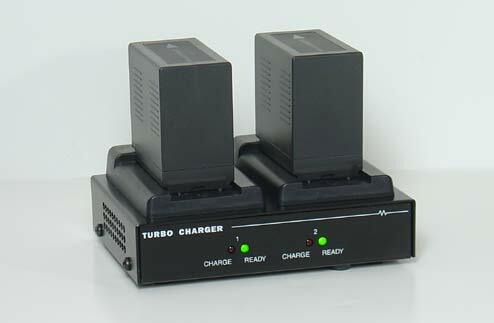 The TC40 four position battery charger accepts Sony NP-FXX (L-Series), Canon LP-E6/LP-E6N Battery Packs (compatible with Canon EOS Rebel 5D Mark II, 7D & 60D digital SLR Cameras), Canon BP 9XX (EOS C300, etc. ), Canon BP 827 (VIXIA HF-100, etc. ), Panasonic AG-VBR (AG-AC30, UX180, UX90, EVA-1, etc. 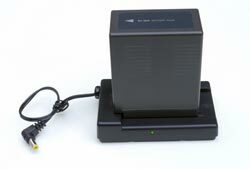 ), VW-VBG6 (HMC150/AF100/AF100A), JVC BN-VF823 (GY-HMXX etc.) 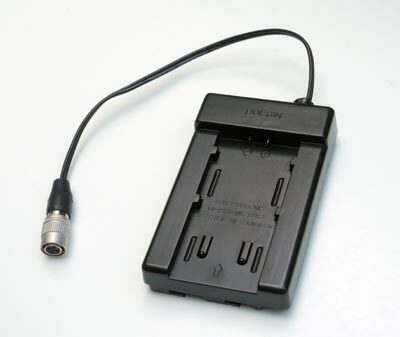 and many other battery packs (each configuration comes with its adapter plate as ordered). Compatible with Non-OEM batteries. 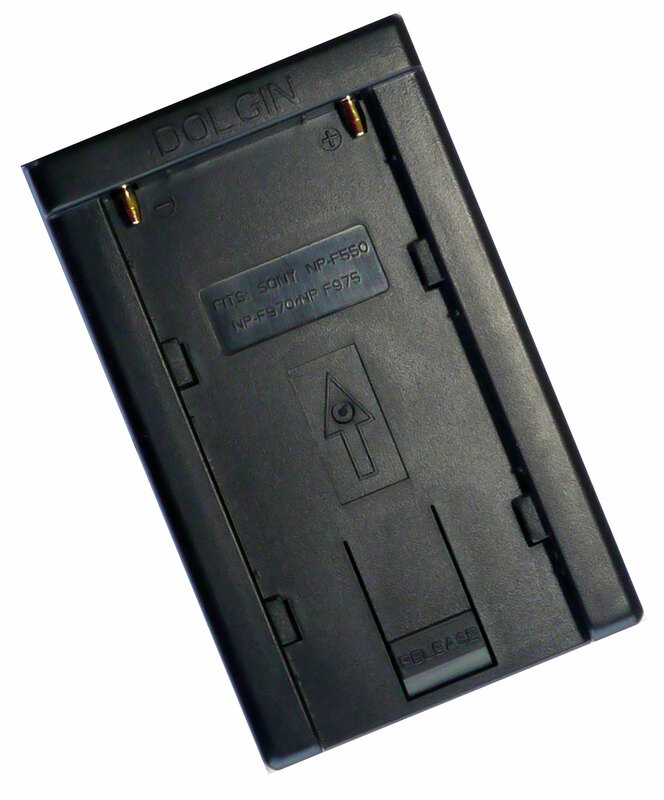 Dynamic Power Management (DPM) minimizes battery charge time. 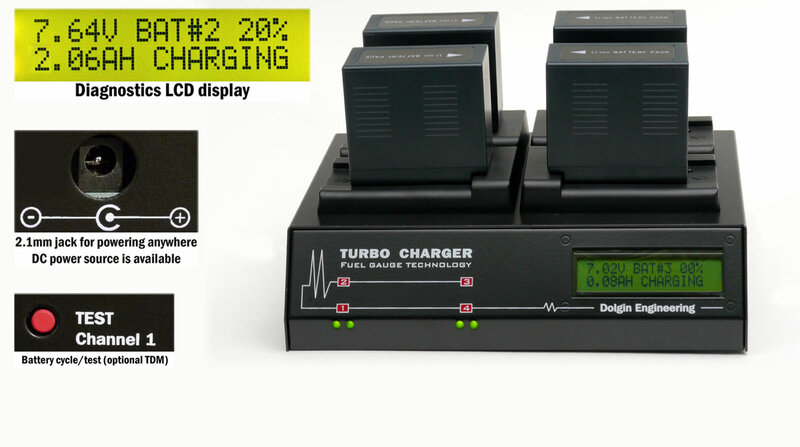 By dynamically adjusting battery charge current, more is allocated to the deeper discharged battery. 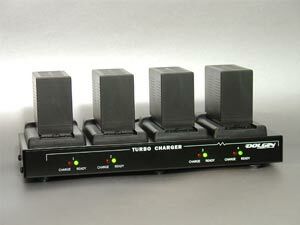 Through this process the batteries are ready to use at about the same time. Small lightweight package 10"x 4"x 1.5". 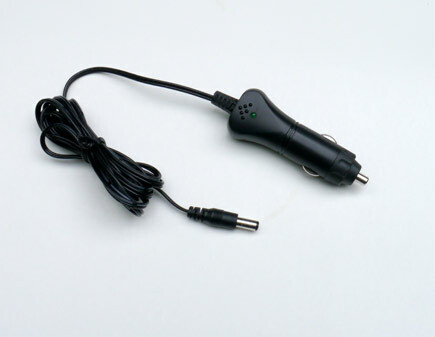 Worldwide 100-240V AC or 12V DC car power. *More information in "Important Links/Universal Configuration"